Evaluating every team's receiving corps: Who needs a WR1? A full overhaul? Published: Dec. 16, 2018 at 04:03 p.m. 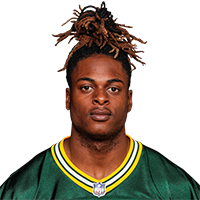 Published: Dec. 9, 2018 at 01:39 p.m.
Green Bay Packers quarterback Aaron Rodgers finds wide receiver Davante Adams for a 7-yard touchdown. Published: Dec. 2, 2018 at 08:16 p.m.
Green Bay Packers quarterback Aaron Rodgers finds wide receiver Davante Adams for a 13-yard touchdown.